This fabulous couple had a small, intimate gathering of friends and family from Ireland at T’gallant in Red Hill. 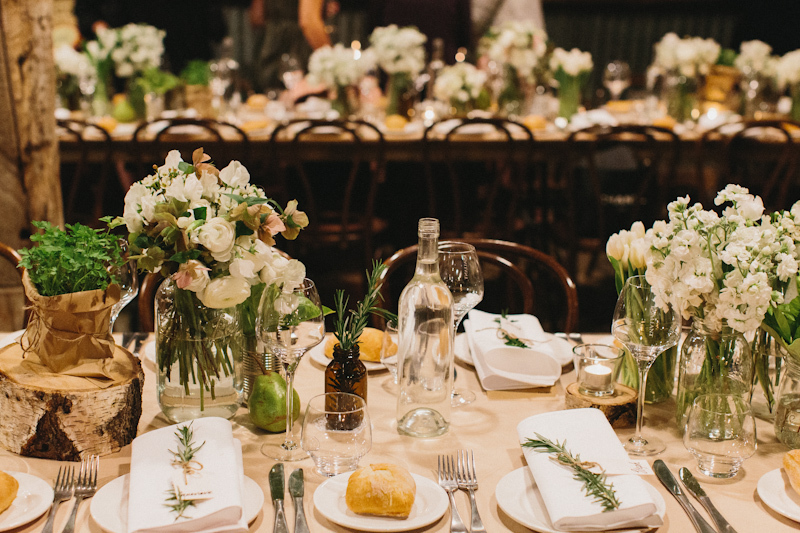 Maeve wanted a rustic, vintage themed wedding to suit the style of T’gallant with all its beautiful wood. She chose all white flowers with a hint of green foliage. We used all the divine spring flowers such as sweet pea, stock, ranunculus; tulips, roses, hellebores and wax flower and displayed them in mason jars, old milk bottles and old tins for a ‘vintage’ feel. For foliage we used magnolia leaves and herbs. We lit tons of tea light candles, which in the evening light created the most beautiful, warm and intimate setting.